Jason T. LaRocco is a Partner in Reger Rizzo & Darnall’s Insurance Practices and Litigation Groups. 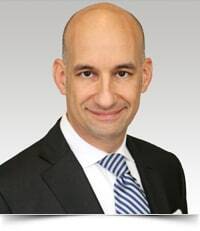 Mr. LaRocco is a seasoned litigator with more than 15 years of experience. He focuses his practice in the areas of commercial auto litigation, premises liability, construction litigation, products liability, dram shop litigation, nursing home claims, mobile elevating work platform regulatory compliance and litigation, and real estate disputes. Additionally, he has litigated general commercial matters, and has also represented small to mid-size businesses in contract disputes, fraud claims and in the execution of foreign judgments. Represented the lessor of an electric burden carrier cart in the Philadelphia Court of Common Pleas. The burden carrier cart struck a union worker who alleged that the cart was negligently maintained and that he suffered permanent and debilitating injuries as a result of the accident. Utilizing a variety of liability and damages experts, Mr. LaRocco and his team successfully reduced potential exposure and obtained a settlement well below plaintiff’s original $5 million demand. As part of a team of attorneys, Mr. LaRocco represented a crane inspection company involving an overhead crane work site fatality. The Estate of the deceased brought negligence claims against the owner of the overhead crane, the crane inspection company and the general contractor. After extensive discovery the Estate alleged that the owner of the overhead crane was aware of several prior incidents involving the crane which were not remedied. Plaintiff further alleged that the crane owner failed to test the crane on a regular basis and to properly train the crane operators. After jury selection, and two rounds of private mediation, the parties agreed to a global settlement of $17 million dollars and successfully settled the matter on behalf of the crane inspection company for less than 10% of the total settlement. Represented a janitorial services company in the defense of a slip and fall premises liability claim at the Pennsylvania Convention Center. Plaintiff claimed significant oral injuries and several surgical procedures as a result of the fall. After conducting extensive discovery, Plaintiff’s claims were successfully discredited and a defense verdict at binding arbitration was obtained with a separate high/low agreement of $50,000 split among four defendants resulting in a verdict of less than $16,000. Represented the manufacturer of an industrial disposable wiping material machine in the Philadelphia Court of Common Pleas. Plaintiff alleged, in part, that he sustained severe burns and injuries across his body as a result of the machine’s defective design. Mr. LaRocco was able to reduce potential exposure by demonstrating culpable conduct via another party and obtained a favorable settlement. Represented an insurance carrier in Lackawanna County against breach of contract and bad faith claims stemming from a reservation of rights letter issued in response to a personal injury claim which occurred on the policyholder’s premises. The court granted motion for summary judgment demonstrating that an actual denial of benefits never occurred. The Pennsylvania Superior Court also upheld the trial court’s decision.